Real Madrid edged past Ajax 2-1 with the help of VAR, which was used for the first time in the Champions League to disallow a goal for the hosts. Second-half goals from Karim Benzema (60) and Marco Asensio (87) either side of Hakim Ziyech's effort (75) hand Madrid a big advantage heading to the second leg at the Bernabeu. However, Ajax thought they scored the all-important opening goal in the first half but Nicolas Tagliafico's header was ruled out by VAR due to a marginal offside call on Dusan Tadic, who was obstructing Thibaut Courtois. 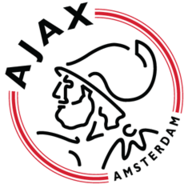 Ajax were taking part in the Champions League knockout stages for the first time in 13 years and equipped themselves brilliantly for large periods. Tadic came within inches of giving his side the lead on 26 minutes but his swerving effort from 20 yards came crashing back off the post. Courtois was called into action minutes later to block away a Ziyech chance after some incisive build-up play from Ajax. Then came the historic use of VAR. Ajax's players wheeled away in celebration as Tagliafico reacted quickest to a fumble by Courtois. With the players all set to restart, the referee held the play to speak with the VAR officials. They instructed him to take a look at the incident on the pitch-side monitor and he eventually ruled out the goal with Tadic marginally offside as he slightly obstructed Courtois. 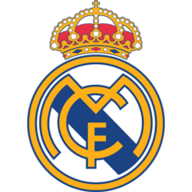 Real awoke from their slumber on the hour mark as Vinicius chased a ball over the top and stayed cool to find Benzema, who swept home a powerful finish into the top corner. Ajax responded with 15 minutes remaining with Ziyech finished off a low cross from the left. A draw would have kept Ajax's hopes alive in the second leg, however, substitute Asensio capped an impressive showing from the bench to finish off a flowing move down the right. Southampton fans may raise an eyebrow at this considering the level of player on show but the Serbian was a constant threat playing as a lone striker. His movement to drift into space in front and behind Sergio Ramos laid the platform for Ajax to play their expansive attacking game that deserved more reward than they got. Ajax have lost their last seven games in European competition against Real Madrid, scoring only three goals and conceding 22. Real Madrid have won six of their last seven Champions League away games in the knockout stages (L1), winning each of the last four. Benzema has either scored or assisted a goal in each of his six Champions League matches against Ajax (4 goals, 4 assists). Vinícius Júnior has provided eight assists in all competitions for Real Madrid - more than any of his teammates. Sergio Ramos made his 600th appearance for Real Madrid in all competitions against Ajax - the seventh different player to achieve this landmark.